Easymotion by Bansbach® is our hydraulic linear actuation system which controls up to 6 cylinders synchronously. 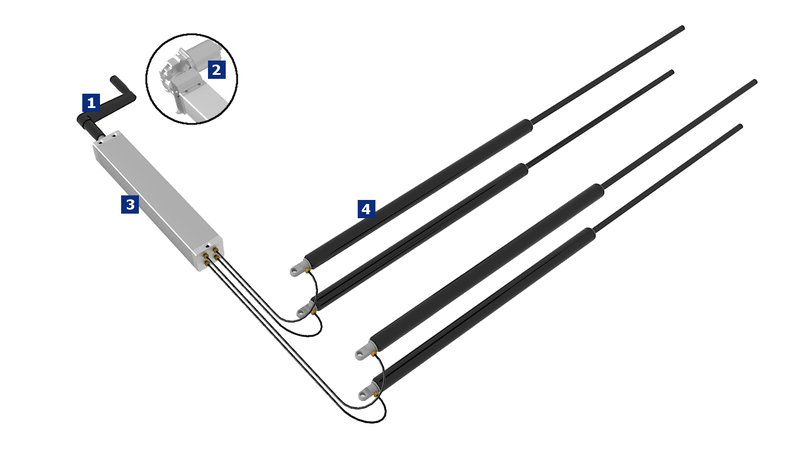 The Easymotion system consists of a hydraulic pump, adjustment cylinders and hydraulic tubing for connecting each component. The system can be operated with an electric motor using an up/down programmable remote control, electronic key pad, or manual hand crank. Each easymotion system can be made to fit any application light or heavy and can be customized to fit your individual stroke/height adjustment requirements.